There are two main natural features that make Bansko a unique resort with conditions for year-round tourism – the relief and the climate. In actual fact, the weather in Bansko allows for a long ski season – from December to April the winter here being relatively soft. Spring, summer and autumn are cool and provide opportunities for mountain excursions, numerous hikes, fishing, hunting, various kinds of sports, rambles, etc. The climatic characteristics of Bansko are determined by the proximity of the Mediterranean region; the transcontinental geographic zone where the town is located and the specific relief of the area. Mediterranean cyclones have an impact mainly during the winter season. Warm air masses from the Mediterranean come here in December and January making the winter soft. The average January temperatures in the area are minus 1, 9 degrees. The Icelandic cyclones start influence the weather in Bansko in the summer. The Azores anticyclone are active then, the northwest winds increase and during the warmer months this makes the weather in Bansko cooler. Against this backdrop the relief of the region also influences the weather forecast by defining some local features. 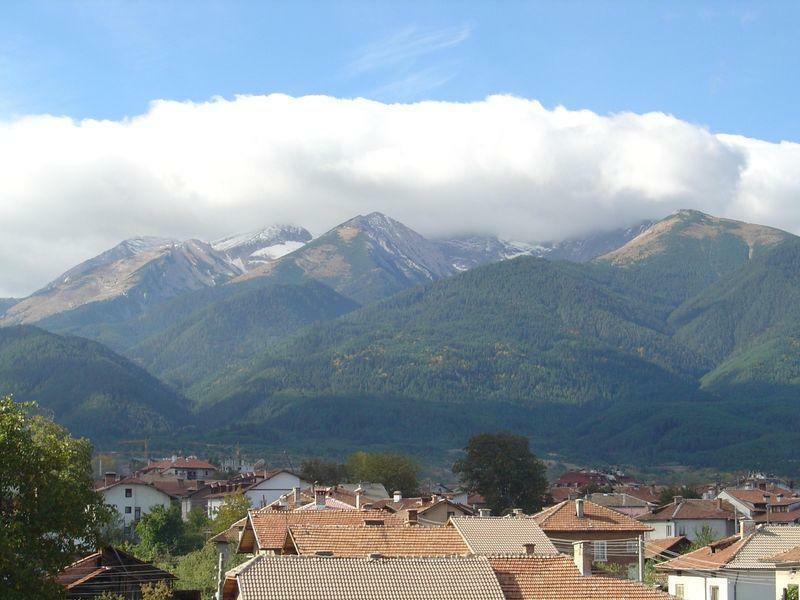 The town is at the foot of the Pirin Mountains. The very mountain has a pronounced Alpine character: the terrain is heavily broken, compact planes and high mountain massifs with deep valleys alternating. At the same time, there are three mountain areas – low, medium and alpine, with the altitude in the territory of the municipality of Bansko ranging from 600 meters in the plains to the towering 2,914 meters of Vihren peak. Naturally, these relief features have an impact on the weather in Bansko. In the summer, the temperature of the mid-mountain areas is between 19 and 23 degrees, in the high parts it is 15–18 degrees. There are weak local winds blowing in the river valleys in the valleys from the slopes to the foot of the mountain bringing coolness. Is an accurate forecast of the Bansko weather possible? Bansko attracts hundreds of thousands of tourists per year – nearly half a million, with its modern hotel base, which allows for a comfortable, relaxing holiday at any time of the year. 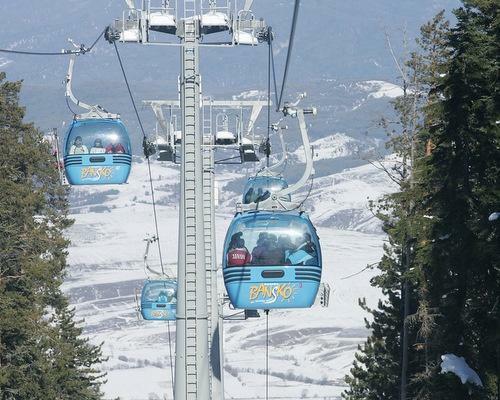 Bansko also offers numerous possibilities for entertainment in the mountains – Pirin is unique and attracts many people for a variety of outdoor activities. That’s why vacationers are looking for a weather forecast for the town. Despite the many influences – both external and local – on the climate in Bansko, tourists can safely rely on the meteorological weather forecast. In practice, these influences are cyclical, they are also known to influence the weather when they occur. As we mentioned, Mediterranean cyclones push in in December and January while in the summer the Azores anticyclone and the Icelandic cyclones are active. The local peculiarities of the climate determined by the terrain are permanent. The familiar activity of external influences and their cyclic recurrence make it easier to give a weather forecast for Bansko and the region. According to the holiday plans, the weather forecast in Bansko and the region can be checked in particular for the respective zones – low, medium-high, alpine. Bansko municipality has a territory of about 475 square kilometers, covering mostly parts of Pirin, part of Razlog valley, zones from the Mesta river valley and its feeders, as well as part of the Rhodopes. The weather forecast of long standing in Bansko shows that the minimum diurnal temperatures in the winter are at 7-8 a.m. and in the summer between 4 a.m. and 5 a.m. The maximum is reached at about 3 p.m.
At the end of March, warming begins but mid-May is likely to have a spell of cold weather; therefore, it is imperative to follow the short-term weather forecast. The cooling begins in September. According to the statistics of the weather forecast for Bansko, the average date is September 24. However, there have also been cases of cold spells starting on October 22. Bansko is a world-famous ski resort in the winter – with training conditions for both beginners and advanced, as well as for professionals. However, the opportunities for mountain activities which the weather in Bansko provides in the summer are numerous and not less attractive. Here you can choose from a variety of hikes – from 50–60-minute long tours through 17-hour hikes to combined routes and excursions. The picnics around Bansko are very attractive with a rich folklore program, specialties from the local cuisine with homemade wine and rakia. For lovers of fishing there are organized excursions to three amazingly beautiful places in the area with trout, chub and carp and local chefs prepare fish dishes on fire. These excursions offer opportunities for ATV and mountain biking tours. By the way, more than 200 km of routes are marked for cycling in the region. 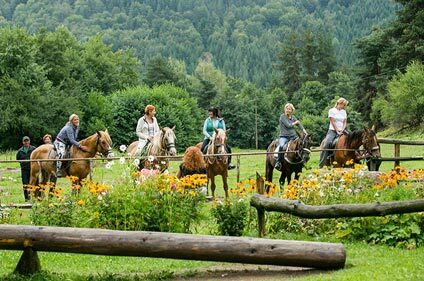 Horse riding bases also offer an hour-long ride or longer mountain trekking, you can also choose adrenaline rock climbing, rafting, and other classic sports.